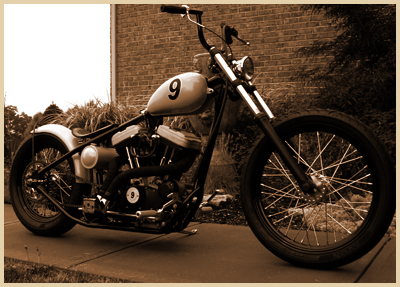 138 Cycle Fabrication is dedicated to building one bike at a time by fabricating or using only the finest parts. This gives us the opportunity to build the best quality, with attention to detail for our customers. We also offer a line of quality parts and engine services. Copyright © 2010, 138 Cycle Fabrication. All Rights Reserved.